This program supports children and families living in Scott County with youth ages 6-18. Youth served will have behavioral issues identified by the parent or caregiver. Services will include screening, assessment, information and referral, case planning through family team meetings, skill building, etc. 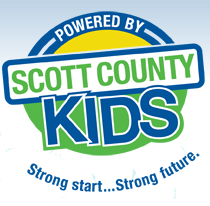 Scott County Kids Scholarships are available to help families finance their child care in a registered home or licensed center. Families qualify by income. Our Family Advocate, Dawn Knutson, is the central contact person for families with children who have mental healthcare needs. She is here to help link youth and families to the right mental health providers and services in Scott County. 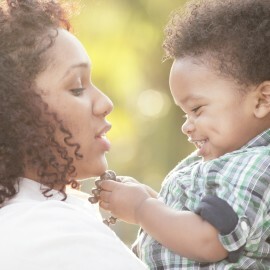 Head Start and Early Head Start provides education, health, nutrition, and parent involvement services to low-income children and their families. Scott County Kids Preschool Scholarships are available to provide financial assistance to families for preschool expenses. The Scott County Kids Family Panel is a support group of community parents who meet to advocate for and receive education about children’s mental health. This group is open to all parents who have youth with mental health needs. There is also an annual Family Conference for families caring for youth with mental health needs.